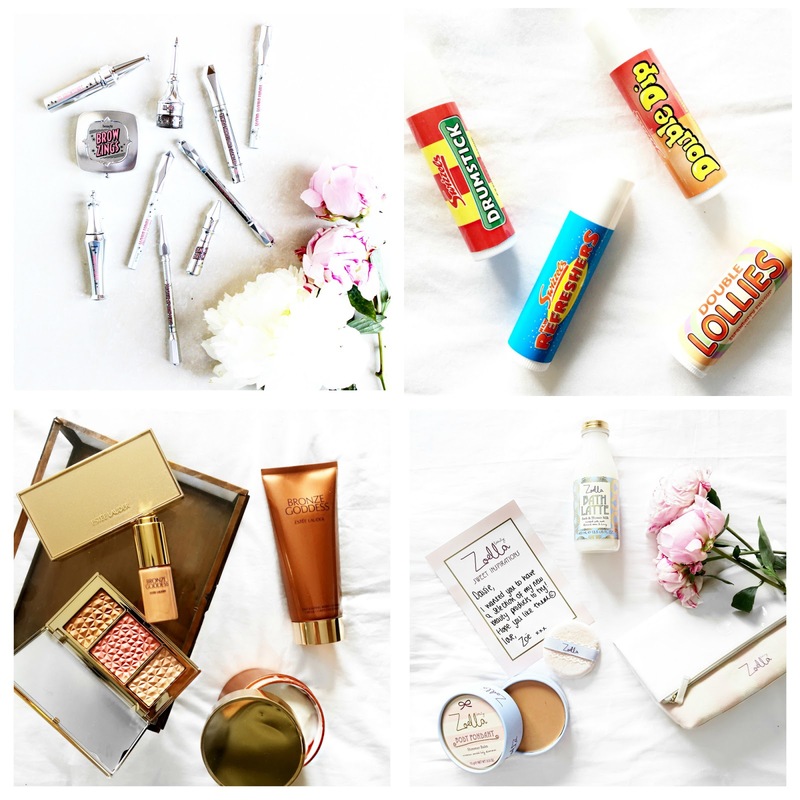 My blogger mailbox has been so full lately with the most gorgeous summer launches. I will be filming a 'New In Beauty' video on my YouTube channel really soon; but I just wanted to share a few of my highlights so far. As you probably know if you follow my channels, Makeup Revolution is one of my favourite makeup brands. Now they have linked up with Swizzles and launched these sweetie flavoured lip balms. How cool?! They actually smell of sweets and they're really moisturising to the lips too. My fave is the Refreshers flavour. OMG I can't tell you how amazing this range is! It smells completely incredible and I can't get enough of it all. I opened the package on Snapchat (add me if you don't already have me: Daisie_S); and instantly fell in love with the new Bronze Goddess products. The Liquid Illuminator gives the most gorgeous golden glow to cheekbones, and the Body Creme is one of the nicest I have ever tried! Zoe has pulled it out the bag again with her latest range; Zoella Beauty Sweet Inspirations. I always love the packaging of this range; but these new beauties have the most gorgeous combo of baby pink and blue shades. The Body Fondant is lovely; a buttery body bronzer that has tiny flecks of shimmer in it. So cute!